During the current holiday season, a religious organization, Lobby for Jewish Values, is lobbying to prohibit Christmas trees in restaurants and public places. This could be considered as a trivial and rather innocent form of political activism, but it can also be considered the beginning of a much stronger influence of Orthodox Judaism on the public stage. 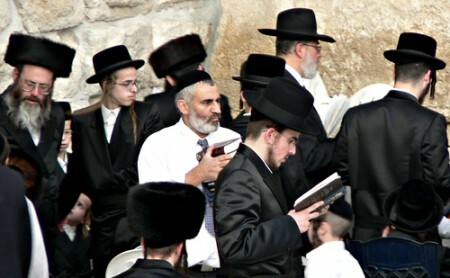 Recently, the justice minister, although an independent, said that “step by step, the Torah law will be restored to Israeli citizens and Halakah will become the binding law of Israel.” If implemented, this would mean that the rules of everyday life would be dictated from a religious point of view. This decision would challenge the secular majority, the non-Jewish minority of Israeli citizens and the common law currently ruling the country. What is astonishing in this quest to establish religious law in Israel is that it goes against the view of a part of the orthodox community, the Orthodox Jews United Against Zionism, which claims the creation of Israel, as it was done back in 1948, was a mistake. According to the group, the ‘Promised Land’ should be given by God, not by humans. They are thus fighting for the removal of the Israeli state and for the establishment of a Palestinian state. There is only one way to make sure this spaghetti bowl of religion and politics called Israel remains stable: secularism. This may sound naive within the context of the Israel-Palestinian conflict, but maintaining a clear separation of responsibilities within the Israeli territory is the only solution to the pluralism of the society. To avoid clashes and strong political confrontations between orthodox Jews, secular Jews and Arab and Muslim Israelis, the law needs to remain neutral. This doesn’t mean status quo, it means implementing this concept “hic et nunc,” by allowing, for example, civil marriage for those who want it. Israel will definitely benefit from this internal stability and will provide a good example to its Palestinian neighbor that keeping religion out of politics is the best way to manage multicultural societies.